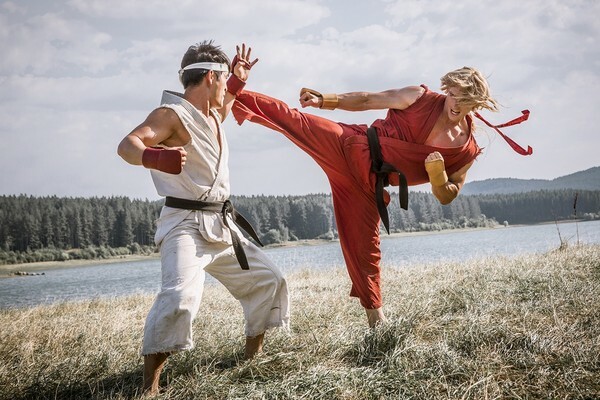 Street Fighter: Assassin's Fist is a live action movie based on the classic Capcom videogame series, Street Fighter. 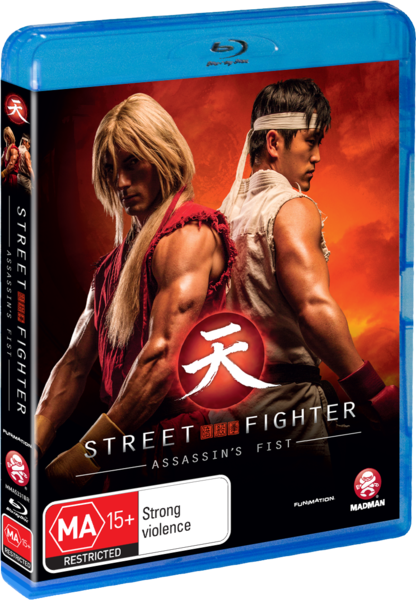 This film/series is based on the lives of Ryu (played by Mike Moh) and Ken (played by Christian Howard) who are being trained up by their teacher, Gouken (played by Akira Koieyama). 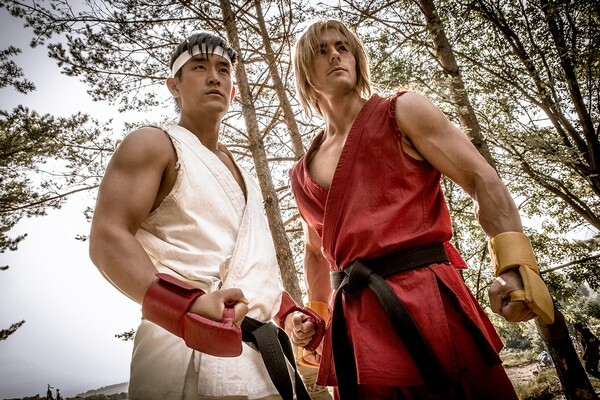 Ryu and Ken have been training with Gouken for thirteen years and have matured a lot since they first arrived at Gouken's dojo and now they are at a level to where it is time for them to learn some advanced skills. Gouken puts Ryu and Ken on a task to go on a journey to find Gouken who is hiding in a secret area. It takes a little to do so but Ryu and Ken do make it to the secret spot only to find out that they are at Gouken's old training grounds. Now it is time for Ryu and Ken to learn the advanced stuff and by advanced stuff I mean that they get to finally learn the shoryuken (a powerful jumping uppercut) and the hadoken (an energy ball attack). That's not all that Ryu and Ken will be learning as Ken breaks his way into a sealed off room and discovers photos of Gouken's past and also an old book with some instructions to a mysterious martial art. Ken tries to use this art but is soon told off for using it as it is a very evil technique that will corrupt any fighter that learns it, thus we also learn about the existence of Gouken's brother, Gouki, also known as Akuma. Thing's have gotten very interesting at the house of Gouken. (Click "Read More" to read the full review). The story in this series was really well done as it was very gripping and very exciting to where it is ultra entertaining. This show adapts from the Street Fighter lore (games, comics, movies) very well and everything from the Ryu and Ken training days backstory is done so perfectly to where it was much better than what I'd imagined it would be. The crew behind this series also added their own unique twist to this storyline, that enhanced the story greatly rather than take from it. This series was originally an Internet series, then got a television edit, then got another different edit for this release as this edition has all of the episodes edited into one giant movie. This series works pretty well as a movie as all episodes joined up together nicely. This movie cut of the series has an exclusive epilogue scene that was neither in any of the prior cuts of the series and that's a good thing to see and encourages a re-watch for those who have seen this series before. The drama in this series is very strong to where it is addicting and it'll leave you wanting more. This is a film where there are scenes that have very long lines of dialogue and those scenes were entertaining as the topics were interesting and added to the story. The action in this series was also great as you see some good fight scenes with some very good martial arts. There was one fight scenes in this series that was quite brutal and it did get a bit gory to where it might gross out some people. This series does use special effects for when you'll see Ryu and Ken's signature moves (Hadoken, Shoryuken) and they looked great as they looked very natural and powerful as they actually used real fire for most of the special attacks. This show does use computer generated effects but only for when they needed to do so and that was great as I hate it when films have computer generated effects for the sake of having computer generated effects. Most of the computer generated effects were made to enhance the non-computer generated effects and they looked great together to where it was very impressive. The special effects did have one rough part at the very start to where it looked a bit cheesy but everything after that was great. This show also has some humor and it is all very tongue and cheek, also very fun and clever, just don't expect this show to be full of it as this show is mostly serious. All of the characters in this show were incredibly well done to where the show captures the looks and personality of most of the Street Fighter characters perfectly. The reason why I said "most characters" is that the character for Gouken looks a little different in this series compared to the video games but that isn't a bad thing at all as they got his personality correct. 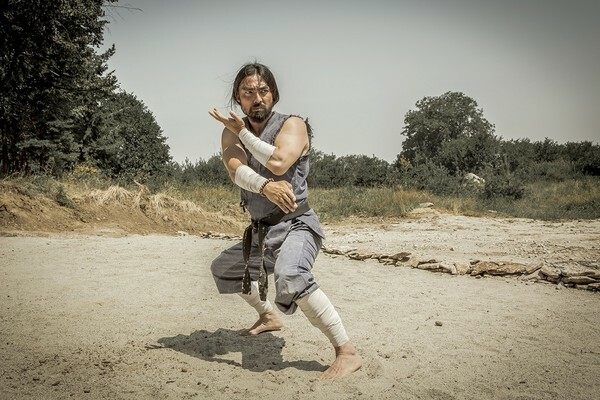 Gouken is a character that is very hard to adapt into live action, the look they gave that character for this series was well done as you will recognize that the character is Gouken. You will also take all of the characters very seriously and that is one part that impresses me a lot as when we typically see live action versions of characters from fighting games, we see a little bit of a cheese factor that completely ruins them to the point of being cartoony but that is not the case with this series. 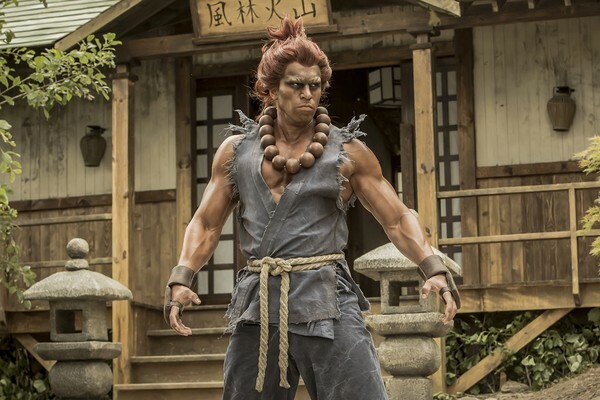 I was especially impressed with how Akuma (played by Joey Ansah) was portrayed in this series as he is the character that is very hard to get right in a serious live action drama and they got him just right for this series as he comes off as very serious and menacing to the point of being terrifying. I wouldn't want to meet this guy in a dark ally. The acting in this show was very good and also very charming and strong, it adds to the super serious turbo nature of the show. There were some scenes where the actors switch between speaking in English and Japanese languages, so prepare to read a few scenes with English subtitles. I'm not saying that's a bad thing as it was used in a way where it made sense most of the time and especially makes sense with the flashbacks that involve Gouki/Akuma and Gouken in their days of training. Seeing as characters speak both in English and Japanese, you will sometimes hear them switching between the two languages during mid-sentence and then back again, this gets a little confusing the first time watching the series but you won't have that problem the second time around as you'll know what to expect. The filming of this series looked very good as it was well lit and clean to where you could make out all of the pretty and gritty detailing of the scenery and costumes. This is a show where you can tell that it was done on a smaller budget but this was a case where the budget was used incredibly well to where none of it was wasted. You won't see many locations in this series but this is a series where it doesn't need many locations as all of the scenery was very interesting looking and you won't get bored seeing the characters in the same locations. The soundtrack in this series was very good as it had some nice strong renditions of all of the Street Fighter music that you all know and love. The special features section packs a punch as you get a nice amount of special features including: Ken's video diary, making of segments, deleted scenes, outtakes, a trailer for the series, and a commentary track featuring Joey Ansah (the director, also played Akuma). The Ken's video diary segments have Ken walking around with a camera and getting into mischief and those segments were okay as they served as an interesting way to promote this series. The making of segments were really interesting as you get interviews of the cast, crew, and also some footage of how the special effects were made. I did learn something from those segments and was especially amazed with the segment on making the special effects. The deleted scenes were very entertaining but I can see why they were cut as they would've made the series feel a little bit too long. The outtakes/bloopers were decent as they were entertaining and some of them did manage to make me laugh. The trailer was pretty good as it was very intense and dramatic and really makes you want to watch the series. The commentary track was very simple and straightforward but did make for a good listen as it was interesting to hear all of the comments that Joey Ansah had to say and he did a really good job at doing a solo commentary as it isn't easy to do one all alone. Overall this is a very brilliant series and is also one of the greatest live action series based on a video game that I have ever seen. I highly recommend going out and adding this baby to your collection as you will really enjoy it. Brilliant viewing.